Mobile endless jumper game. Jump using the different platforms, but avoid enemies. 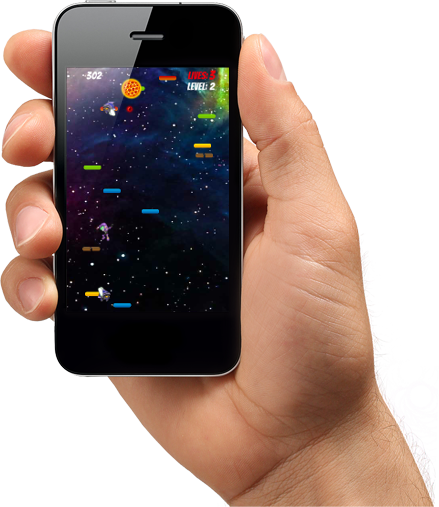 Space Jumper is a mobile endless jumper game. SpaceJumper is a free mobile game. It is available for download in the google play store. This game can be played by tilting your device (accelerometer controls) or by touching the left of right side of the screen. No two games will be the same. Levels will be built randomly with increasing difficulty.